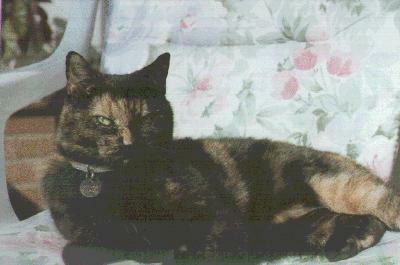 Gemma was rescued from the Cat's Protection League, a British charity devoted to rescuing stray and unwanted cats and finding them good homes. We got her in December 1994, a few months before we were married. They said she was about 2 years old. 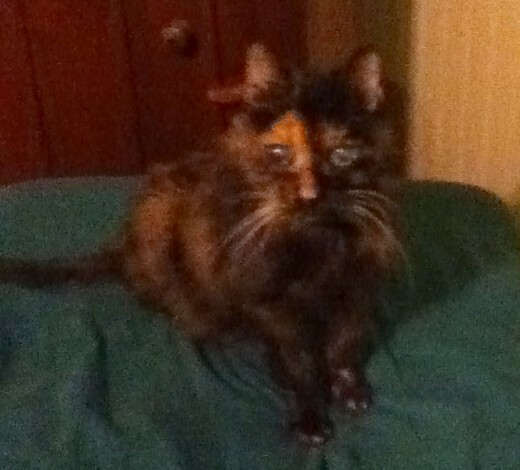 On December 16th, 2011, almost on the anniversary of her arrival in our family, she passed away peacefully during the night, at almost 20 years old. 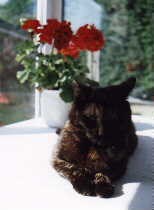 Here is one of the last pictures of Gemma, taken a few days before she passed.